We have published several articles that provide an overview A Look At Google Drive, Google's Long-Awaited Cloud Storage Service A Look At Google Drive, Google's Long-Awaited Cloud Storage Service After more than 6 years of rumors and a long-ago cancellation because "files are so 1990", Google Drive is finally here. Coming with 5 GB of free storage space, a Dropbox-like desktop sync client, and... Read More and tips 7 Tips & Tricks To Get The Most Out Of Google Drive 7 Tips & Tricks To Get The Most Out Of Google Drive Google Drive is a great service, but installing the Google Drive application and synchronizing some files is just the first step. These tricks will help you take advantage of Google Drive, both on the desktop... Read More for using Google’s increasingly popular cloud storage service and cross-platform application, Google Drive. Chris Hoffman has reviewed Google Drive for Android Access Your Files From Anywhere With Google Drive [Android] Access Your Files From Anywhere With Google Drive [Android] If you’re using Google Drive on your computer and you own an Android smartphone or tablet, you should install Google Drive for Android. 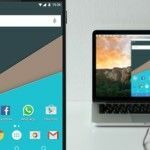 With the app, you can access the files in your Google Drive... Read More , and in this review I will cover the iPad version. Google Drive is similar to the popularly used cloud storage service, Dropbox, but Drive includes built-in document creation features that are missing in Dropbox. 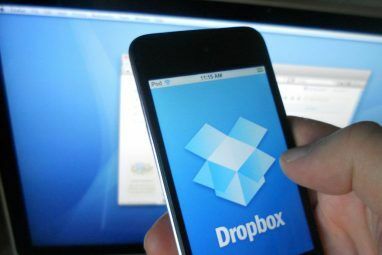 And though Dropbox integrates with dozens of third-party applications, Google Drive contains convenient document sharing and collaboration features that Google and iPad users should be taking advantage of. For this reason, we have listed the free Google Drive app on our Best of iPad Apps The Best 3 Free Photo Editing Apps For The iPad The Best 3 Free Photo Editing Apps For The iPad If you own an iPad camera connection kit, while it's certainly not the same as having access to Photoshop or other robust photo editing programs on your desktop, there's still quite a bit of photo... Read More page. Google Drive is a cross-platform application and service which provides users with 5 GB of free storage space for any type of files, including photos and videos, and you can add up to 25 GB of storage space for $24.99 per year. Google Drive for the iPad syncs and integrates with your online Mac and PC version of Google Drive. If you already have a Google account, you can get set up with Google Drive by navigating to the online application at drive.google.com. 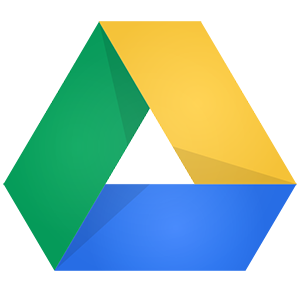 From there you can download the Google Drive client application for your computer, though you do not need to have the computer client installed to use the Google Drive app on your iPad device. To get set up with Google Drive for the iPad, simply download the app to your device and sign into your Google account. You can manage files in the Google Drive app in much the same way you manage files on your computer or other devices. The sidebar of the app provides access to all your private files and folders, followed by shared content with other Google Drive users. 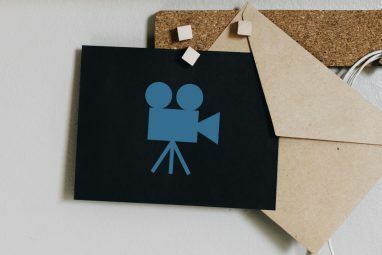 The Starred section of Google Drive consists of the selected items you have starred as favorites or most often used, and the Recent section will list all recently modified files. Google Drive does not automatically download and store all of your content on your iPad. Instead you can designate files to be downloaded and viewed offline. This is especially useful if your iPad is Wi-Fi only. To enable offline access, tap on the arrow icon of the selected file, and then enable the Available Offline option. Notice there is also a feature for sharing and providing access to other Google account users. You can tap on the Access + button and add the names, email addresses, or Google groups for whom you want to share the file with. You are also given options for allowing others to edit the document, leave comments or simply view the document (read-only mode) online or by accessing it on their Google Drive supported device. There are additional features for files that you can access under the Actions button on the top-right of the app. From there you can also share, rename, remove, and relocate files to another folder. All of your offline-designated documents can be accessed from the sidebar of the app. The sidebar also includes a section for uploading photos and videos from your iPad to your Google Drive account. Simply tap on the Upload button and then the plus “+” button at the top, and from there provide Google Drive access to your photos and videos. If your iPad uses a built-in camera, you can snap photos from within Google Drive where they will be automatically uploaded to your account. Unfortunately it is not possible to add documents from other apps on your iPad to your Drive account. And as far as I can tell at the time of this review, there are not many popular third-party iPad apps (like Evernote Introducing the Newly Designed Evernote Notes & File Storage System [OS X & iOS] Introducing the Newly Designed Evernote Notes & File Storage System [OS X & iOS] When the Internet becomes part of your day-to-day workflow, resources for storing and managing mountains of data become absolutely necessary. And that's been the goal and purpose of the free and popular cross-platform notebook service,... Read More , Simplenote Simplify Note-Taking & Sync Notes Everywhere With Simplenote Apps Simplify Note-Taking & Sync Notes Everywhere With Simplenote Apps Simplenote and its ecosystem of apps for every platform toss all the superfluous features found in competing note-taking programs and focus on the ones that matter. All Simplenote apps sync effortlessly, with minimal interfaces that... Read More or WriteRoom) that integrate with Google Drive. Instead there are Drive-enabled apps in the Chrome Web Store Making the Most of Google Drive With Integrated Apps Making the Most of Google Drive With Integrated Apps Google Drive can be used to sync files between your computers, but that’s just one of its many features. Google wants Google Drive to be your new cloud hard drive, accessible from any device. To... Read More that allow you to store data in your Google Drive. One of the advantages of using Google Drive over Dropbox is that it contains built-in document creation features. Tap on the plus “+” button at the top of the app to create a new document or spreadsheet. The document editor includes a basic menu bar with tools for formatting and stylizing text. The editor also includes a powerful collaboration feature, in which you and other parties (with whom you have shared the document) can type and edit simultaneously in real-time. The people icon on the upper-right will list any current viewers of the document. Google Drive also indicates when someone is typing or editing a document to which you have given them access. All changes are automatically saved as you type and edit. Unlike the web version of Google Drive, you cannot access the revision history for documents on the iPad app. You can also create spreadsheets on the iPad app, but you can only view presentations, forms, and drawing documents on the device. Google Drive typically syncs and updates files that are added to your account, but you can manually activate the syncing process by tapping on the Sync button on the top right of the menu bar for the app. No doubt there will be additional updates and features to the Google Drive app, and as its popularity grows, it will integrate with popular iPad apps. Let us know what you think of Google Drive. Are you starting to use it more than Dropbox? Explore more about: Cloud Storage, Google Drive. I am running into a problem using drive on iPad. I want to upload photos and video to drive for cloud storage. When I do that, it ADDS data usage to my IPAD in the DRIVE app.when I look at 'on my device' in GD it shows no files. When I look at iPad usage data, it shows that after I upload photos the drive app is one taking up more iPad space (app is only 75 mb) and after upload app+docs and data are using 1.3 gb. (And Deleting files from device after upload) All files have offline switch in off position. Would love some help with this as I am telling students to use drive to clear space on iPads. Anyone have any ideas? Macwitty, I think if you're Google user already, it probably makes sense to use Drive. I find myself starting to use it more because I can easily share documents with people who already have a Gmail account setup, whereas they might not be setup on Dropbox. Plus, like I said, Drive document tools allows for collaboration, if that's something you need. I take advantage of both services essentially because they are free. However, Dropbox is better integrated with other apps. ... of course, part of the reason that iOS is such a terminal POS is that there really isn't a functional mechanism for sharing your Google Drive data with other software already on the device. I hope you didn't actually want to open those files you downloaded in a different app. Likefunbutnot, you went a little over my head. What doe you mean by terminal POS? In Dropbox, you can open text documents in other apps like iA Writer, Byword, and even Google Drive. Are you saying you shouldn't be able to do that with Google Drive documents? Thanks for your feedback. I mean that data I choose to download via Google drive is not made available for other applications on the ios device to use. If I download photos or music, they are not made available in ios native apps but rather they are simply inert files stored on the device I can acces with a live network connection. The problem here is not Google drive but rather the broken security model ios uses. It's unfortunate, because Google drive is amazingly useful for data synchronization on other platforms but its functionality is quite limited if Google Drive ios is in essence the only viewer and editor for the files being shared.